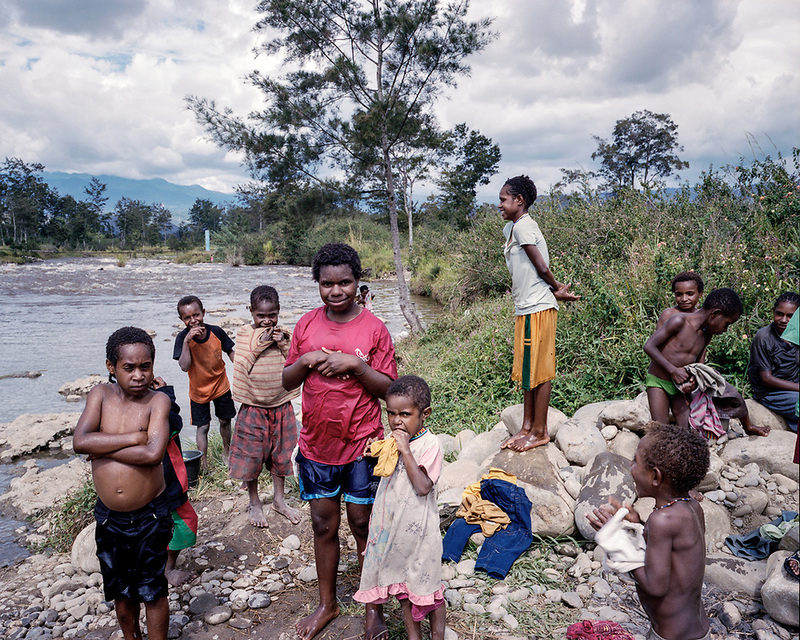 Against All Odds: HIV/AIDS Epidemic Among Indigenous Papuans. Children drying after bathing in the Wouma river. HIV AIDS Papua Papuans Indonesia Virus Epidemic disease Health.